_ _ Despite this and my last post both referencing alcohol, in reality, I no longer indulge much. As another birthday has recently passed, my own mortality is coming into sharp focus… I’m having a quarter-life crisis. But every now and then I’ll have a glass or two to relax and even though drinking wine makes me feel like a classier broad, I have yet to develop a liking for it (though I have graduated from boxed to bottled! )… These smoothies are the perfect way to chill out on a hot summer day, and cover the taste of cheap booze. 1. 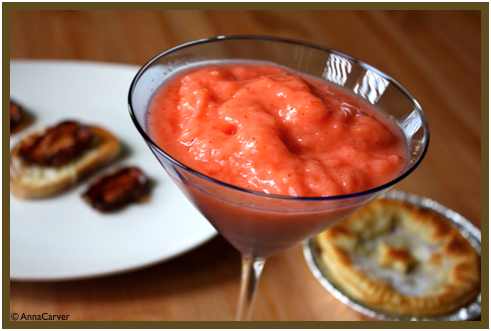 Combine all the ingredients in a blender and puree until smooth. Serve in glasses that you’ve allowed to chill in the freezer.